Australia: AUSTRALIAN DONKEYS FACE BEING BLUDGEONED TO DEATH WITH SLEDGEHAMMERS IN CHINA! AUSTRALIAN DONKEYS FACE BEING BLUDGEONED TO DEATH WITH SLEDGEHAMMERS IN CHINA! Update via another source – 15/5/17. Louise – Thank you for forwarding Mark’s/KAALE’s email with link to Serbian Animals Voice webpage about the possibility of Australia (NT) exporting donkeys to China. 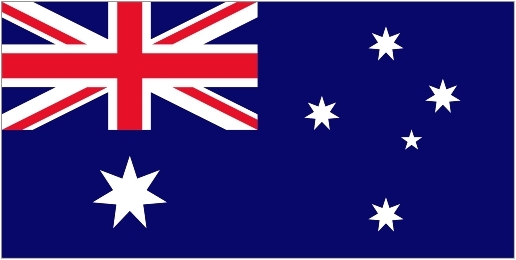 All – We are aware of this and are in touch with various people in Australia who are keeping tabs on the situation there, already writing articles, raising awareness etc against such a plan, and will lobby as hard as possible against it if it ever looks like becoming a reality. Whilst we cannot deny the truth of the articles linked in the Serbian Animals Voice page, many of them are several years (or even decades) old, and in the case of flesh being cut off live donkeys, we had reassurance some years ago from a reliable contact in Beijing that this was rare to start with, and now no longer happens. Whilst we do not condone the roadside slaughter of donkeys by sledgehammer, although it is brutal, as long as it is performed by someone who knows what they’re doing and does it well, it can be quicker and more humane than what goes on behind closed doors in some abattoirs rather closer to home. The photos shown first circulated widely in a Daily Mail article a few years ago and have reappeared at regular intervals since – they are guaranteed (and therefore deliberately used) to shock our western senses. Many of us are happy to eat meat, wear leather, etc, but close our eyes and ears to how it comes to be there and are then upset when the stark truth is laid out before us. The media statement from Australia is dated 2009 – 8 years ago. Whilst the opening sentences are clearly (in my opinion) written in such a way as to provoke reaction, the Australians had not at that time investigated thoroughly into the logistics or economic viability of such a plan. There are currently no protocols in place for the export of Northern Territory donkey hides or meat to China. “Most importantly, we’ve also been doing some economic analysis to see whether the dollars stack up,” Mr Trier said. “We undertook some economic analysis, using some assumptions drawn from a range of mechanisms about the value of donkeys in China and their productive turn-off. “Our analysis, using Australian feral donkeys, is that it doesn’t seem economically viable [to farm them for export], however using Chinese donkey genetics, there could be some economics in it. “But then, stacking that up against an existing industry, such as cattle, which [donkeys] would have to displace unless it was on other land, cattle appear more profitable. In short, whilst it is true that Northern Territories have been, and to our knowledge still are, considering the possibility of export of donkeys to China, as far as we know this is not looking imminent. Furthermore, the indications are that if it should happen (which currently looks unlikely), that donkeys would be slaughtered in licensed abattoirs in Australia, not transported live to China. We have a whole section of our website dedicated to the global issue of the rapidly increasing Chinese demand for donkey products, mainly skins (used in the production of a Traditional Chinese Medicine called ejiao), which is threatening donkey populations around the world, along with the communities that depend upon them for their livelihoods. To read our extensive report on this, and news and updates since it was published in January this year, please go to: www.thedonkeysanctuary.org.uk/under-the-skin. 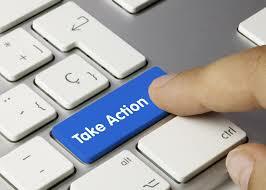 Please feel free to circulate this link and the information contained therein to as many people and organisations as you like, and help us to raise support for our campaign. Again, thank you for your concern. The threat to donkeys around the world is real, and we have a special, cross-departmental taskforce working specifically on this issue. AUSTRALIAN DONKEYS FACE BEING BLUDGEONED TO DEATH IN CHINA IF THE AUSTRALIAN GOVERNMENT HAS ITS WAY. Just when Australian’s thought the live animal export trade couldn’t possibly get any worse, there is now a possibility that donkeys will be live exported to China, a country known for it unspeakable cruelty towards animals. In June 2009 a media statement was released by the Minister for Primary Industries, Fisheries and Rural and Regional Queensland. The Honourable Tim Mulherin expressed his desire for Australian donkeys to be live exported to China. Mr Mulherin’s first sentence really says it all. Picture this: “balmy afternoon in Beijing, donkey steaks sizzling on the barbeque, a little romance in the air aided by some traditional Chinese medicine made from donkey skins.” He went on to say that “the best part of this scenario is the donkey has been imported from Australia”. It is extremely unlikely that ‘the best part of this scenario is the donkey has been imported from Australia’, when there are NO animal welfare laws in China for any animal, including Australian animals. 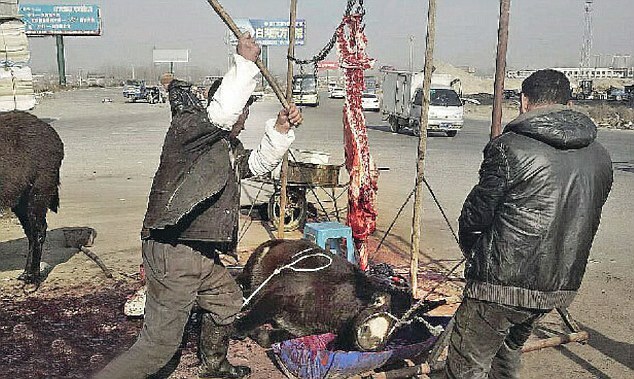 Mr Mulherin may think there will be romance in the air while Australian donkey steaks sizzle on the barbeque, but the reality is donkeys in China are killed in the most unspeakable, incomprehensible ways. 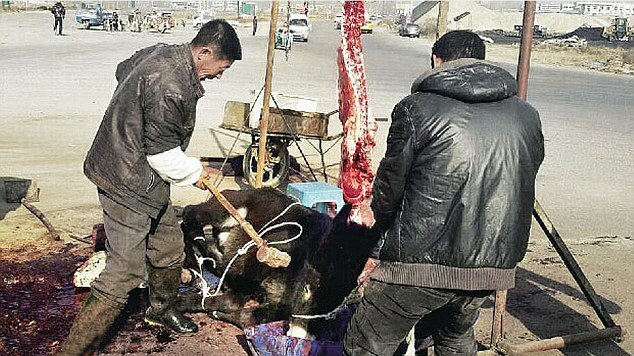 There is NOTHING romantic about the horrors donkeys face when slaughtered in China. Alister Trier, chief executive of the NT’s Department of Primary Industry, said over the past two years, the government had been approached by several Chinese companies wanting access to feral donkeys in the Northern Territory. “The interest has been quite significant; we’ve had well over a dozen enquiries from different Chinese interests,” Mr Trier said. Mr Trier toured a donkey processing factory in the Shandong province of China this year and said the industry was expanding and the demand for donkeys was incredible. For decades Australia has been live exporting animals to the Middle East and South East Asia, this has resulted in the most horrific treatment and slaughter of Australian animals. The Australian government and the live export industry, has grossly failed to protect animals from being slaughtered in ways that are heinous. How can the government ensure that Australian donkeys are not killed in such ways if recent talks of starting up a donkey trade to China become a reality? The answer is it cannot. Investigators have repeatedly exposed the live export trade for exactly what it is! Barbaric beyond belief…Investigators have filmed the most sickening treatment of Australian sheep and cattle on overseas soil, yet this cruel trade continues. 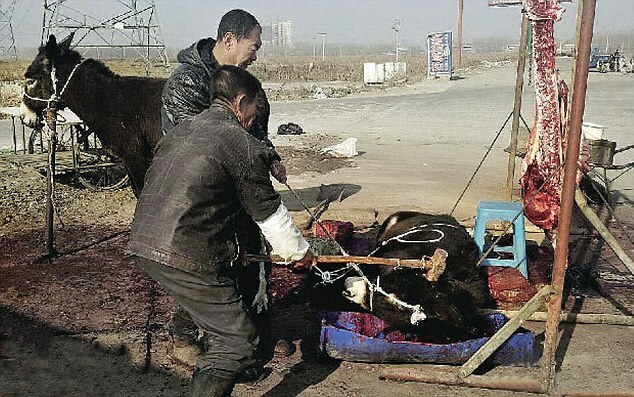 Recently Investigators exposed footage of Australian cattle being bashed to death with sledgehammers, the same barbaric method used to kill donkeys in China.